A little girl in a frilly white dress twirls her way into a pack of detergent, to the tune of a catchy jingle. Together with the Liril girl cavorting under a waterfall and Amul's plump little moppet, the Nirma girl remains one of the most enduring images from the television ads of the eighties. The ad catapulted a brand, which emerged from the backyard of a young chemist and promoter from Gujarat, Karsanbhai Patel, to dethrone Surf, the detergent heavyweight of the storied multinational that created the market in India - then HLL (now HUL or Hindustan Unilever). Detergent till then was a premium product, with most households using laundry soap instead. But as vegetable oil price increased, synthetic detergents became the choice, popularised by HUL's roadshows in villages. However, by the seventies, high petrochemical prices led to an increase in detergent prices. The time was ripe for a low-cost, no-frills alternative to Surf. Patel's door-to-door campaign in 1969 with a detergent, encased in rudimentary packaging, was timed just right. By paring production, marketing and distribution (a single line of distributors who directly supplied the retailers) costs to the bone, he was able to sell Nirma at Rs 3 per kg. Through its heydays, Nirma was priced less than Surf by Rs 14 on an average. As much as the cost factor, Nirma's earthy TV ads, made for it to go national, were quite different from the prevailing detergent TVCs and matched HUL's ad frequency. It showed a lively montage of young men and women singing and dancing, cutting across regions, cultures and income groups. Santosh Padhi, co-founder and chief creative officer of Taproot India, an agency that now handles the Nirma account, says, the three reasons the brand imagery succeeded were the catchy jingle, the characters of Hema, Rekha, Jaya and Sushma, quintessential housewives, and the mascot of the Nirma Girl. "In Nirma ads, the detergent was positioned as peppy. The mundane activity of washing was shown in a playful way, while the other brands showed housewives washing clothes in the bathroom," says Padhi. Gujarat-based Purnima Advertising Agency was the agency that worked on the signature campaign. Taproot was signed on in 2009. It says much for the feisty, homegrown nature of the brand that the mascot was Patel's daughter and 'Nirma' partly derived from her name, Nirupama. "In those days, there used to be an emotional connect of the promoters with their brands," says an executive who has been associated with the brand for many years. By 1985, Nirma had twirled its way to the top of the detergent chart, usurping Surf, according to reports. Surf was wary of dropping its price that would dilute its equity. Nirma forced HUL to go into a huddle to work around a long-held belief of how MNCs should not sell low-end products. HUL's Operation STING (Strategy to Inhibit Nirma's Growth) resulted in the launch of Wheel in 1988. Nirma reportedly had 60 per cent of the total market by then, selling over 1.72 lakh tonne. For the next 12-15 years, Nirma continued with the same jingle, "Doodh si safedi Nirma se aaye, Rangeen kapda bhi khil khil jaye" [Nirma renders white clothes milky white and coloured ones brighter] and the montage ad. By then, Surf's Lalitaji was also being countered by Nirma Super's Deepikaji, two prudent housewives who vouched for the benefits of their respective brands. Despite the might HUL put behind Wheel to parry Nirma, Wheel could only scale to the top of the market (which had become mass brands-led) in the early 2000s. It struck a chord with Nirma users, who were reportedly smarting from burning hands, by positioning itself as a gentler product (priced almost at par with Nirma). Eventually, both Nirma and Wheel (which got sidelined by HUL's 'power' brands strategy) were usurped by Ghadi in the mid to late-2000s. It was a challenger which was priced even lower than Nirma (began in 1987 but came into its own in 1995). While Wheel is back in the reckoning, Nirma failed to recover, losing out on premiumisation, and without any innovative variants. What it could do, Ghadi did better (including a grasp over rural markets) and Wheel had already moved to a better value proposition. When contacted, Nirma declined to comment on the story. 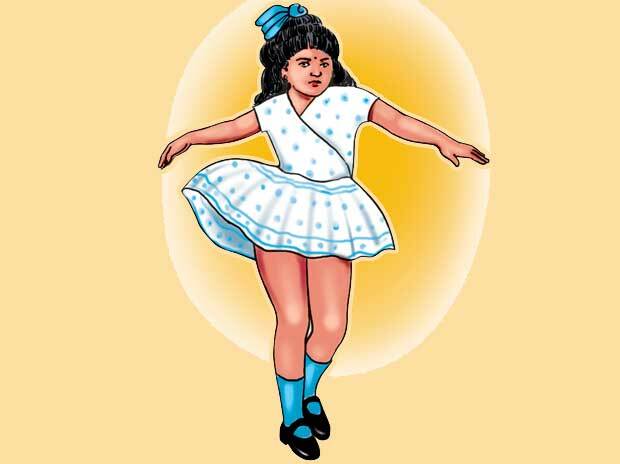 Although the Nirma girl was as endearing as Amul's moppet, Nirma Limited chose to reposition the brand. The transition also coincided with Karsanbhai's son, Hiren K Patel, taking charge. Taproot decided to build stories around the four original housewives by portraying them as today's women. Padhi says, "The roles of Hema-Rekha-Jaya-Sushma have changed. Four independent and strong women appeal across regions and classes. We also contemporised the melody, keeping the lyrics intact." Harish Bijoor, CEO of Harish Bijoor Consults, a marketing consultancy, says, "While the brand is trying to position itself as a more urban offering, if it is to focus less on the Nirma Girl, that would be a loss. It could do some cosmetic changes to make it more relevant." Sources, however, say that the Nirma girl won't be revived in its ads for emotional reasons. "Since the image of the girl is that of Karsanbhai's late daughter, who died in an accident, he is not keen on the mascot anymore," says the executive who requests anonymity. Even as the Nirma girl stops twirling in its advertisements (she lives on in the pack design), the brand seems to merge into the sea of detergent brands (around 400) dotting grocery stores. It has a market share of around 10 per cent, according to market estimates - a far cry from the days when it scripted the perfect underdog win.